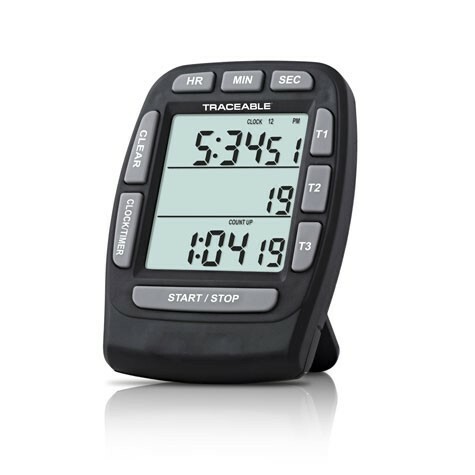 Features: Countdown timing and count-up/ stopwatch timing, clock. Three-line display permits simultaneous or individual countdown alarm timing of up to three tests. Times may be set from 19 hours, 59 minutes, 59 seconds to 1 second with an accuracy of 0.01%. Loud, high-decibel alarm sounds when time is up for 1 minute or may be silenced manually. Extra-large, 1/2-inch digits are easy to read from across the lab. 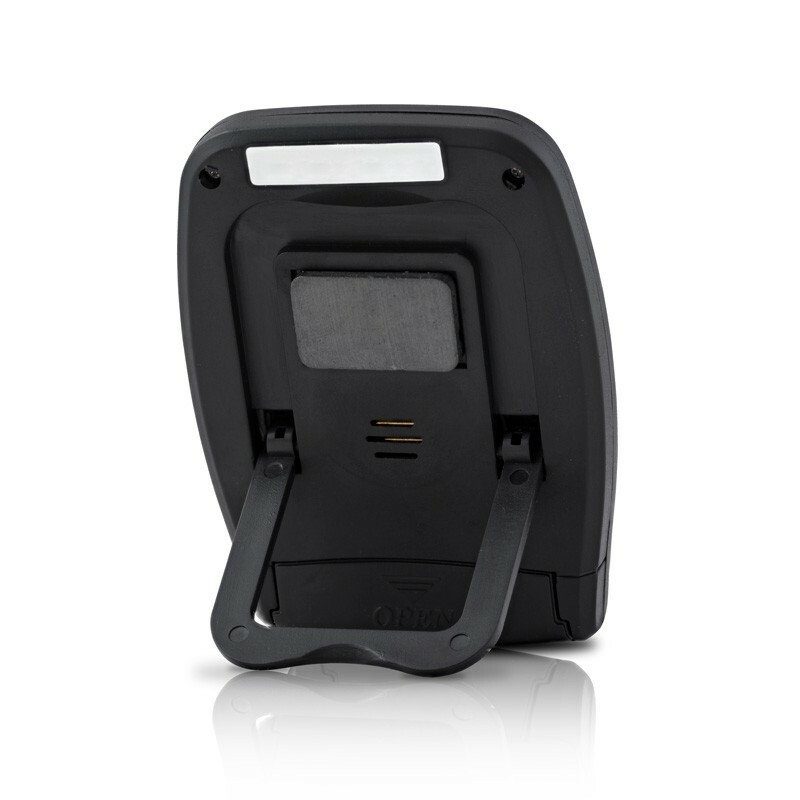 Additional features include Countdown timing and count-up/stopwatch timing and clock. Timer is perfect for dedicating to a test requiring several different times. An individually-numbered Traceable® Certificate provided with each unit, assures accuracy from our ISO/IEC 17025:2005 (1750.01) calibration laboratory accredited by A2LA. It indicates traceability of measurements to the SI units through NIST or other recognized national measurement institutes (NMI) that are signatories to the CIPM Mutual Recognition Agreement. Countdown timing and count-up/ stopwatch timing, clock.